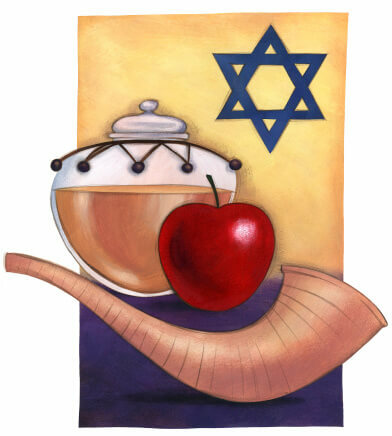 Home » About Rosh Hashanah » How Many Days is Rosh HaShanah? 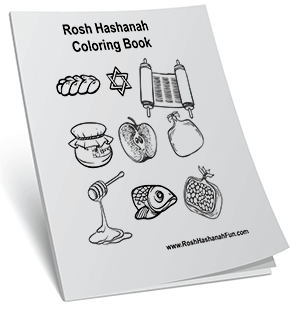 Rosh HaShanah is celebrated for two days. The Torah prescribes one day of celebration for Rosh HaShanah – the first day of the seventh month, as defined by the sighting of the New Moon by witnesses. However, the timing of that sighting could be out by a day, and even if it was sighted on the correct day, communication in ancient times was such that the people might not be informed in time to celebrate properly. This is similar to the problem experienced by modern-day Muslims – the beginning of Ramadan can vary by as much as a day between different parts of the world as the New Moon is sighted at different times. Local sightings prevail over astronomical calculations. The rabbis of the Talmudic era ordained that Rosh HaShanah should be celebrated for two days, considered to be one long day, to be completely sure that everyone everywhere was celebrating on the correct day. 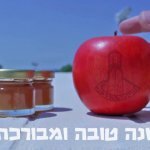 Rosh HaShanah is unusual in that it is celebrated for two days in Israel as well as in the Diaspora. It is the only holiday that falls on the New Moon – most of the others fall on the Full Moon or other times of the month, giving the residents of Israel plenty of time to ascertain the correct date. They therefore celebrate, to this day, all other festivals for one day only, as prescribed in the Torah. In ancient times the Jews of the Diaspora celebrated all festivals for two days because it could take a long time for the news of the sighting of the New Moon, determining the date of the festival, to arrive from Israel. Today, with modern astronomical calculations and instant communication, there is no actual need for the doubling of festivals in the Diaspora. However, Orthodox and Conservative Jews in the Diaspora continue to follow the ways of their ancestors in celebrating two days of each festival, while Reform Jews and residents of the land of Israel celebrate only one.